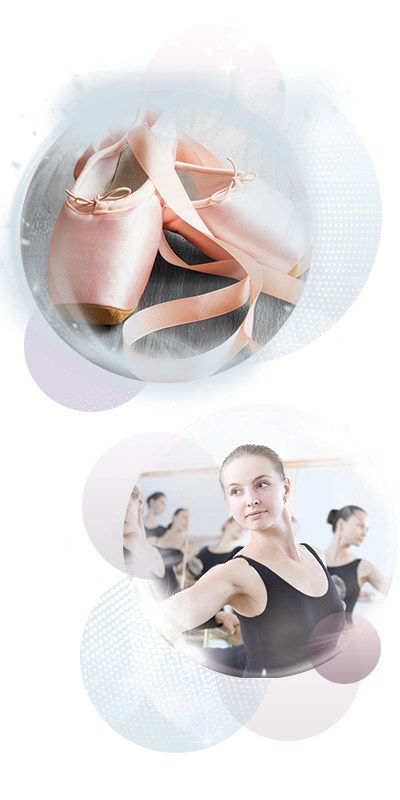 We offer recreational, competitive, and accelerated ballet classes using the Royal Academy of Dance Syllabus as well as the International Dance Adjudicators Syllabus. These classes range from 45 minutes per week to 2 1/2 hours per week. We also offer Pre Pointe and Pointe classes, pending recommendation. These classes last a full ten-month season. Students in recreational classes and Pre Junior Level ballet classes learn choreography pieces for the year-end showcase in their technique class. Students in graded exam technique classes may participate in exams pending recommendation by our certified instructors. Hair must be fastened back in a no-bangs, slicked, ballet bun. Students will not be permitted into ballet class without proper hair and dance attire. ** Kindertot Packages are available from the SBDC Office.